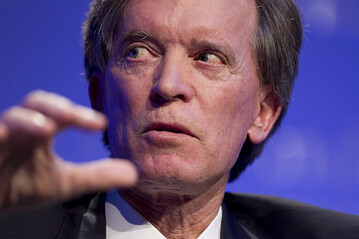 The following "Investment Outlook" is by William H. Gross, the Co-Managing Director of PIMCO, an investment firm. Gross manages the highly regarded $200 billion plus PIMCO Bond Fund. Although his analysis is limited to finance and investment, he does not shy away from the serious crisis capitalism is faced with worldwide. I think Gross penetrate the crisis better than Keynesian economists who seem to think that they can do away with it through inflating the economy. Marxist economists who typically do not address problems of finance and investment may find Gorss' analysis dovetailing their own theories and empirical research on the crisis of the "real" economy. The cult of equity is dying. Like a once bright green aspen turning to subtle shades of yellow then red in the Colorado fall, investors’ impressions of “stocks for the long run” or any run have mellowed as well. I “tweeted” last month that the souring attitude might be a generational thing: “Boomers can’t take risk. Gen X and Y believe in Facebook but not its stock. Gen Z has no money.” True enough, but my tweetering 95-character message still didn’t answer the question as to where the love or the aspen-like green went, and why it seemed to disappear so quickly. Several generations were weaned and in fact grew wealthier believing that pieces of paper representing “shares” of future profits were something more than a conditional IOU that came with risk. Hadn’t history confirmed it? Jeremy Siegel’s rather ill-timed book affirming the equity cult, published in the late 1990s, allowed for brief cyclical bear markets, but showered scorn on any heretic willing to question the inevitability of a decade-long period of upside stock market performance compared to the alternatives. Now in 2012, however, an investor can periodically compare the return of stocks for the past 10, 20 and 30 years, and find that long-term Treasury bonds have been the higher returning and obviously “safer” investment than a diversified portfolio of equities. In turn it would show that higher risk is usually, but not always, rewarded with excess return. Chart 1 displays a rather different storyline, one which overwhelmingly favors stocks over a century’s time – truly the long run. This long-term history of inflation adjusted returns from stocks shows a persistent but recently fading 6.6% real return (known as the Siegel constant) since 1912 that Generations X and Y perhaps should study more closely. Had they been alive in 1912 and lived to the ripe old age of 100, they would have turned what on the graph appears to be a $1 investment into more than $500 (inflation adjusted) over the interim. No wonder today’s Boomers became Siegel disciples. Letting money do the hard work instead of working hard for the money was an historical inevitability it seemed. Yet the 6.6% real return belied a commonsensical flaw much like that of a chain letter or yes – a Ponzi scheme. If wealth or real GDP was only being created at an annual rate of 3.5% over the same period of time, then somehow stockholders must be skimming 3% off the top each and every year. If an economy’s GDP could only provide 3.5% more goods and services per year, then how could one segment (stockholders) so consistently profit at the expense of the others (lenders, laborers and government)? The commonsensical “illogic” of such an arrangement when carried forward another century to 2112 seems obvious as well. If stocks continue to appreciate at a 3% higher rate than the economy itself, then stockholders will command not only a disproportionate share of wealth but nearly all of the money in the world! Owners of “shares” using the rather simple “rule of 72” would double their advantage every 24 years and in another century’s time would have 16 times as much as the sceptics who decided to skip class and play hooky from the stock market. Cult followers, despite this logic, still have the argument of history on their side and it deserves an explanation. Has the past 100-year experience shown in Chart 1 really been comparable to a chain letter which eventually exhausts its momentum due to a lack of willing players? In part, but not entirely. Common sense would argue that appropriately priced stocks should return more than bonds. Their dividends are variable, their cash flows less certain and therefore an equity risk premium should exist which compensates stockholders for their junior position in the capital structure. Companies typically borrow money at less than their return on equity and therefore compound their return at the expense of lenders. If GDP and wealth grew at 3.5% per year then it seems only reasonable that the bondholder should have gotten a little bit less and the stockholder something more than that. Long-term historical returns for Treasury bill and government/corporate bondholders validate that logic, and it seems sensible to assume that same relationship for the next 100 years. “Stocks for the really long run” would have been a better Siegel book title. Yet despite the past 30-year history of stock and bond returns that belie the really long term, it is not the future win/place perfecta order of finish that I quarrel with, but its 6.6% “constant” real return assumption and the huge historical advantage that stocks presumably command. Chart 2 points out one of the additional reasons why equities have done so well compared to GNP/wealth creation. Economists will confirm that not only the return differentials within capital itself (bonds versus stocks to keep it simple) but the division of GDP between capital, labor and government can significantly advantage one sector versus the other. Chart 2 confirms that real wage gains for labor have been declining as a percentage of GDP since the early 1970s, a 40-year stretch which has yielded the majority of the past century’s real return advantage to stocks. Labor gaveth, capital tooketh away in part due to the significant shift to globalization and the utilization of cheaper emerging market labor. In addition, government has conceded a piece of their GDP share via lower taxes over the same time period. Corporate tax rates are now at 30-year lows as a percentage of GDP and it is therefore not too surprising that those 6.6% historical real returns were 3% higher than actual wealth creation for such a long period. The legitimate question that market analysts, government forecasters and pension consultants should answer is how that 6.6% real return can possibly be duplicated in the future given today’s initial conditions which historically have never been more favorable for corporate profits. If labor and indeed government must demand some recompense for the four decade’s long downward tilting teeter-totter of wealth creation, and if GDP growth itself is slowing significantly due to deleveraging in a New Normal economy, then how can stocks appreciate at 6.6% real? They cannot, absent a productivity miracle that resembles Apple’s wizardry. My ultimate destination in this Investment Outlook lies a few paragraphs ahead so let me lay its foundation by dissing and dismissing the past 30 years’ experience of the bond market as well. With long Treasuries currently yielding 2.55%, it is even more of a stretch to assume that long-term bonds – and the bond market – will replicate the performance of decades past. The Barclay’s U.S. Aggregate Bond Index – a composite of investment grade bonds and mortgages – today yields only 1.8% with an average maturity of 6–7 years. Capital gains legitimately emanate from singular starting points of 14½%, as in 1981, not the current level in 2012. What you see is what you get more often than not in the bond market, so momentum-following investors are bound to be disappointed if they look to the bond market’s past 30-year history for future salvation, instead of mere survival at the current level of interest rates. Together then, a presumed 2% return for bonds and an historically low percentage nominal return for stocks – call it 4%, when combined in a diversified portfolio produce a nominal return of 3% and an expected inflation adjusted return near zero. The Siegel constant of 6.6% real appreciation, therefore, is an historical freak, a mutation likely never to be seen again as far as we mortals are concerned. The simple point though whether approached in real or nominal space is that U.S. and global economies will undergo substantial change if they mistakenly expect asset price appreciation to do the heavy lifting over the next few decades. Private pension funds, government budgets and household savings balances have in many cases been predicated and justified on the basis of 7–8% minimum asset appreciation annually. One of the country’s largest state pension funds for instance recently assumed that its diversified portfolio would appreciate at a real rate of 4.75%. Assuming a goodly portion of that is in bonds yielding at 1–2% real, then stocks must do some very heavy lifting at 7–8% after adjusting for inflation. That is unlikely. If/when that does not happen, then the economy’s wheels start spinning like a two-wheel-drive sedan on a sandy beach. Instead of thrusting forward, spending patterns flatline or reverse; instead of thriving, a growing number of households and corporations experience a haircut of wealth and/or default; instead of returning to old norms, economies begin to resemble the lost decades of Japan. Some of the adjustments are already occurring. Recent elections in San Jose and San Diego, California, have mandated haircuts to pensions for government employees. Wisconsin’s failed gubernational recall validated the same sentiment. Voided private pensions of auto and auto parts suppliers following Lehman 2008 may be a forerunner as well for private corporations. The commonsensical conclusion is clear: If financial assets no longer work for you at a rate far and above the rate of true wealth creation, then you must work longer for your money, suffer a haircut on your existing holdings and entitlements, or both. There are still tricks to be played and gimmicks to be employed. For example – the accounting legislation just passed into law by the Congress and signed by the President allows corporations to discount liabilities at an average yield for the past 25 years! But accounting acts of magic aside, this and other developed countries have for too long made promises they can’t keep, especially if asset markets fail to respond as they have historically. The primary magic potion that policymakers have always applied in such a predicament is to inflate their way out of the corner. The easiest way to produce 7–8% yields for bonds over the next 30 years is to inflate them as quickly as possible to 7–8%! Woe to the holder of long-term bonds in the process! Similarly for stocks because they fare poorly as well in inflationary periods. Yet if profits can be reflated to 5–10% annual growth rates, if the U.S. economy can grow nominally at 6–7% as it did in the 70s and 80s, then America’s and indeed the global economy’s liabilities can be “reflated” away. The problem with all of that of course is that inflation doesn’t create real wealth and it doesn’t fairly distribute its pain and benefits to labor/government/or corporate interests. Unfair though it may be, an investor should continue to expect an attempted inflationary solution in almost all developed economies over the next few years and even decades. Financial repression, QEs of all sorts and sizes, and even negative nominal interest rates now experienced in Switzerland and five other Euroland countries may dominate the timescape. The cult of equity may be dying, but the cult of inflation may only have just begun. 854. Do Dolphins Think Nonlinearly?